Driven by solid performances in tourism, construction and financial services, the Cayman Islands’ economy recorded strong growth in 2017, with the estimated Gross Domestic Product (GDP) rising by 2.9 percent. This was the highlight of The Cayman Islands’ Annual Economic Report 2017 released by the Economics and Statistics Office. The 2017 GDP growth represents the third highest growth rate since 2008 and occurred amidst increased demand associated with an uptick in global growth from 3.2 percent in 2016 to 3.8 percent in 2017. The US also strengthened with growth of 2.3 percent in 2017 compared to 1.5 percent in 2016. The central government recorded its highest overall fiscal surplus on record of $140.6 million, as an increase in total revenue (by 6.7%) outweighed the increase in total expenditure (by 0.8%). The strong fiscal position allowed the government to reduce its outstanding debt from $483.9 million as at end 2016 to $449.1 million as at end 2017. 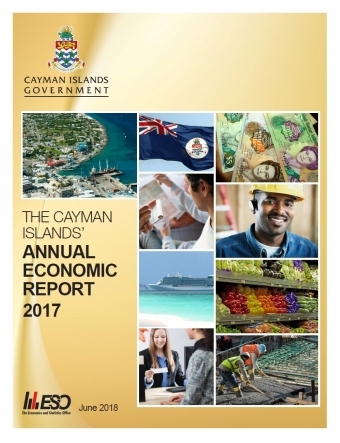 For more information on the “The Cayman Islands’ Annual Economic Report 2017,” please visit www.eso.ky.